Engaging an audience today can be tough. With millions of marketing messages coming from all directions, it’s hard to make your message stand out from the rest. It’s even more difficult to keep your audience engaged enough to actually hear what you have to say. It is your job as the speaker to attract the attention of your audience. Below are a few tips to help you capture your audience in 30 seconds or less. Create a hook: Use a provocative statement, question, or relevant anecdote that sets up your topic. Something that catches the eye of your audience and intrigues them will entice them to stick around to hear what you have to say. Be concise: Needless to say, audiences have short attention spans. Get to your points quickly to keep your audience interested and engaged. Utilize teasers: Taking advantage of teasers that will be answered later in the copy will intrigue your audience. Delaying certain facts or information can build suspense and will keep your audience with you from start to finish. Visualize concepts: Employ images that evoke emotion, are striking, and create energy. Use graphics to visualize concepts, making your information easier to comprehend and more interesting. Remember, when attempting to capture your audience, be a powerful speaker. Make a connection early on and create anticipation. Finally, take a look around and see what is already working. What holds your attention? What makes you want to stick around until the end of an article? 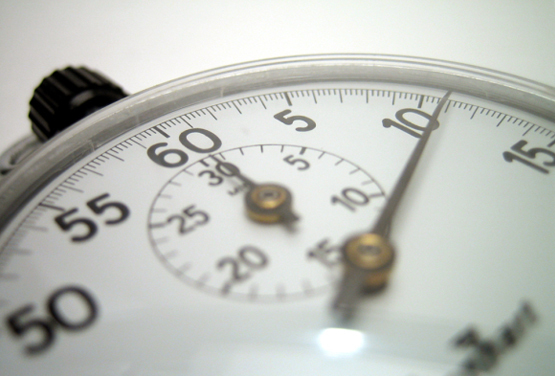 Taking advantage of these tips will help you capture your audience in 30 seconds or less. Still having trouble acquiring your audience? We’re here to help! Call us today to help you not only gain the attention of your audience, but to keep them with you from start to finish.